I’m a cop. I like order. I keep the peace. I have a good staff—two deputies, fully dedicated to their work. I wish we lived in easier times when there was no crime, but we do. Even in a small town like Providence, Ohio. It’s not always local crime. Sometimes perpetrators come from all corners of the earth. That’s because the mayor in Providence puts on all sorts of events to lure people to town. This month it’s the Lovers Trail event. Perfect for February. Luckily, this time I get to celebrate. Yes, I’ve met her. The woman of my dreams. No, it’s not Charlotte Bessette. She’s engaged to Jordan. She’s totally in love with him. I see that now. I’ve moved on. They’re getting married this coming weekend. In fact, I’m at Jordan’s bachelor party. Pretty tame, I have to admit. “Hey, Jordan, someone’s at the door,” a guy at the poker table next to mine yelled. Jordan strode across the room. I leaped to my feet and charged after him. He whipped open the door. Charlotte was standing on the porch beside Deputy O’Shea. They both looked tense. Charlotte was shivering. Are there times you just know…something horrible has happened? 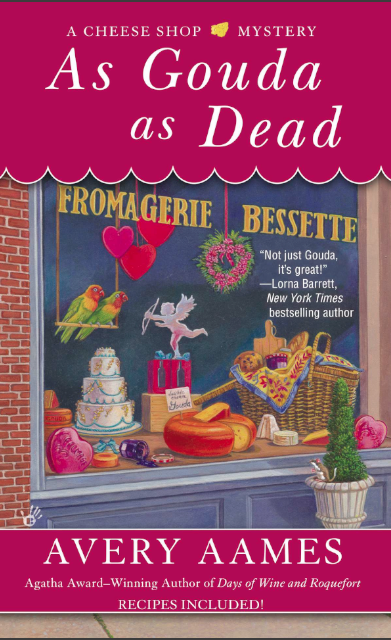 AS GOUDA AS DEAD is available for pre-order here. 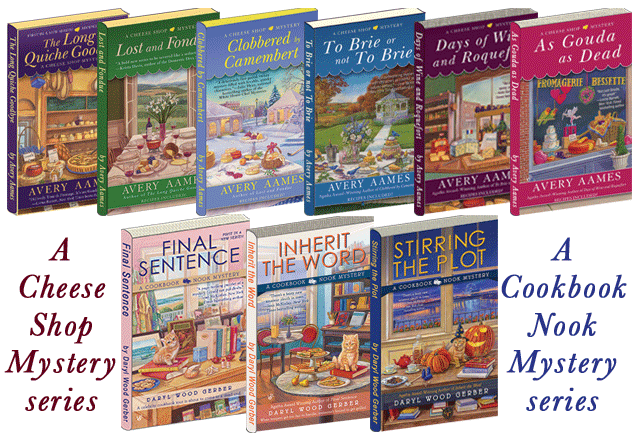 STIRRING THE PLOT is available!! order here. Yep, pretty sure. Wish life could always be a bed of roses, but that's just not how it is. Penney, I'm glad you like the story. Hope you'll read it. The first in the series is The Long Quiche Goodbye, if you're one who likes to start at the beginning.